ICICI Bank today announced launch of new innovative NFC (Near Field Communication) based contactless payment system in partnership with Tech Mahindra. Called “Tap n Pay”, it allows users to make over-the-counter payments without using any cash or card. 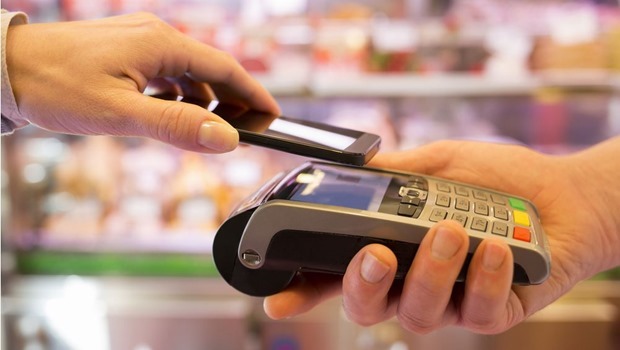 The users have to just tap the NFC enabled tag or mobile phone at the merchant’s point-of-sale device to make payments. The ‘Tap n Pay’ platform is available to all consumers, irrespective whether they have an ICICI Bank account or not. How Does Tap n Pay Work? ‘Tap n Pay’ is essentially a prepaid account, which can be availed by customers of any bank by simply registering for it and transferring money online from any bank account. ICICI Bank customers can also transfer money to the Tap-n-Pay account through an SMS. To start with, this solution is being offered at large campuses of corporate offices. However, ICICI Bank and Tech Mahindra have plans to extend this service across the country. However, customers will need to have a Mobile Money account. Once you have the account, you can fund it through various means including netbanking or debit/credit cards. After you have recharged your Mobile Money account (minimum of Rs. 100), you can go to the nearest Mobile Money counter and get your tag issued. In order to issue the tag, you have to enter your registered mobile number and MPIN in the POS (Point of Sale) machine. You can then start making payments by tapping your NFC tag or then your NFC supported smartphone. You can get all details of your transactions and statements through Mobile Money website. Outcome of RBI’s 2FA removal? This is the first such service to be launched in India after RBI removed the requirement of additional factor authentication (2FA). Though these payments are restricted to max Rs. 2000, it can help tremendously in smaller transaction carried out on regular basis. Currently as per RBI, 2FA will not be required only if the card can offer contactless card payments that uses NFC technology! Apart from Tap n Pay system, ICICI Bank has already launched Paywave NFC debit and credit Cards for contactless payments earlier this year. "ICICI Bank Launches ‘Tap n Pay’ NFC Based Contactless Payments", 5 out of 5 based on 1 ratings.